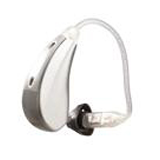 Interested in Hearing Aids From Starkey? Purewave Feedback Eliminator - Starkey’s feedback elimination program can be personalised to you and your lifestyle to ensure that feedback whistling or buzzing is gone before you know it’s there. In The Ear (ITE), this style is suitable for mild to severe hearing loss. 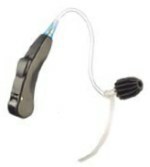 In The Canal (ITC), this style is suitable for moderate to severe hearing loss. Completely In Canal (CIC), this style is nearly invisible in the ear canal and is suitable for mild to moderately severe hearing loss. Feedback Cancellation - greatly reduces annoying buzzing and whistling caused by things like talking on the phone or being hugged. Noise Management - automatically recognizes and reduces noise for more comfortable listening in loud environments. Directional Settings - designed to help you understand the speech in front of you while filtering out unwanted background noise. 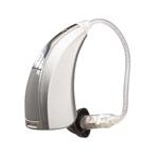 This is X Series, Starkey’s latest, most advanced line of traditional, digital hearing aids. Sleek and modern outside, loaded with our innovative technology inside, X Series delivers the benefits you want and expect from the best. Want to hear better in noise? X Series can help. Featuring Voice iQ2, our noise reduction and speech preservation system, X Series is specifically designed to improve speech understanding in noisy environments and make listening easier no matter where you are. Want a hearing aid that no one else can see? X Series delivers from SoundLens, the world’s first custom, invisible and completely digital hearing aid, to Xino, one that hides virtually undetectable behind your ear. Whether you’re shopping for your first hearing aid, or are looking to upgrade to newer and better technology, X marks the solution that’s right for you - X Series by Starkey. 3x more powerful with multicore processing: designed for virtually no whistling, better hearing in noise and telephone compatibility. Engineered to automatically adjust to the different sound environments you’re in. Our individualized hearing and lifestyle assessment can help ensure your hearing aids match your exact hearing loss and listening needs. 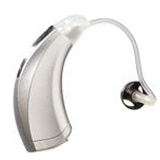 Every hearing aid in the X Series family has been designed to perform in the most challenging listening situations. Whether you’re active and on the go, or living life at a more leisurely pace, there’s an X Series hearing aid that fits with the way you live. More performance. More comfort. More of what you want in a hearing aid. You’ll get it all when you’re fit with X Series. Ask your hearing professional about this advanced line of digital hearing aids today and start experiencing more of what you want and love to do tomorrow. 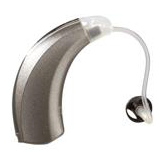 S Series with Drive Architecture is Starkey's new line of hearing aids where industry-leading technology meets real life to create an unparalleled listening experience. More powerful and precise than ever before, S Series is patient proven to deliver maximum performance, comfort and personalization. 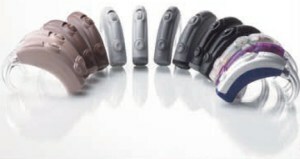 S Series offers a variety of styles and features designed to suit your unique lifestyle and hearing needs. Whether you're active and on the go, or living life at a more leisurely pace, there's an S Series hearing aid that fits with the way you live. Starkey offers sleek, stylish options that are nearly invisible when worn. From your hearing needs to aesthetic appeal, there are many factors The Hearing Aid Advice Centre considers before recommending a particular hearing aid. Understanding the differences between hearing aid styles will help you and The Hearing Aid Advice Centre choose the instrument that is right for your needs. Three times more powerful with multi-core technology for virtually no whistling, better hearing in noise and telephone compatibility. Comfortable, high-resolution sound with smoother, seamless transitions between quiet and loud environments. Automatically sets to situations for you. Our individualized hearing and lifestyle assessment ensures your hearing aids match your exact hearing loss and listening needs. The Hearing Aid Advice Centre will help determine the best model, style and features for your individual hearing needs. The most common complaint from hearing aid wearers is the annoying whistling referred to as feedback. S Series' PureWave Feedback Eliminator solves this problem and is proven to be the best feedback management system in the industry. Experience maximum comfort with the clearest speech possible even in the noisiest environments with Acoustic Scene Analyzer. S Series' proprietary noise and environmental adaptation system instantly transitions your hearing aid for the greatest comfort and clarity in noise. Starkey's new breakthroughT2 technology allows you to use your cell or touch-tone phone to conveniently switch modes or adjust volume on your S Series without using additional hardware. Chances are in quiet environments you can hear the voices in front of you, but have trouble in noisier surroundings. S Series' InVision Directionality filters out unwanted background noise to significantly improve your understanding of speech. This industry-leading technology recognizes and adapts smoothly to optimize different sound environments like wind, speech, speech in noise, machine noise, etc. 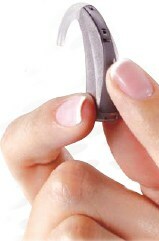 Indicators designed to make it easy to use your hearing aid. Your hearing aids will automatically know when you're on the phone and adjust settings for optimal telephone listening. These special memory capabilities allow your hearing aids to automatically adjust to the preset music and TV listening settings most comfortable for you. For Starkey hearing aids in The UK and Ireland contact us today. Zon is one of the best receiver-in-canal product available on the market today with its best-in-class features optimized by BluWave Signal Processing. 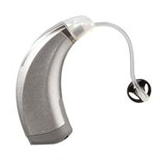 This hearing aid has been designed to perform well in the most challenging listening situationsin a restaurant, driving in a car or listening to a child's voice. Zon is available in three technology levels. Each one, is designed to perform in specific listening environments. Depending on the nature of your listening needs, there is a Zon hearing aid that's right for you. The new Zon, with BluWave Signal Processing, outperforms all others in its class, providing more clarity, greater directionality, and better speech audibility in a variety of environments. The biggest problem hearing aid wearers experience is that annoying whistling called feedback. The most effective feedback cancellation system on the market today. AFI uses an entirely new method that effectively erases whistling, squealing, and other irritating feedback sounds. Chances are you can hear the voices that are directly in front of you when in quiet situations, but have trouble when the noise level increases, like while in a restaurant with family and friends. With this common complaint in mind, Zon was designed to include technology called Directional Speech Detector, resulting in extraordinary directional performance and better understanding in noise. Anyone who wears hearing aids knows telephone conversations can sometime be difficult. With Automatic Telephone Response, Zon virtually eliminates feedback while automatically adjusting for optimal communication on the telephone. With Acoustic Signature, patients experience a brand-new kind of environmental management. Because Starkey hearing solutions immediately identify and classify the statistical properties of different sound environments, switching is completely seamless. With its curved, elegant shape, cool finish, and sophisticated hair and skin-tone color palette, Zon is the first hearing aid ever to bring together world-class technology and strikingly beautiful design. The option of using speech, with male or female voices, to alert you to low battery, memory, as well as others. Simply opening and closing the battery door three times runs a diagnostic check of the microphone, circuit and receiver. To help remind you of maintenance and return visits, we've included an audible follow-up reminder. Starkey's nFusion Technology represents a groundbreaking advance in better hearing. The first instrument ever to use nanoscience in its design, the Destiny 400 offers features never before possible on an entry-level product: complete feedback erasure, automatic switching that recognizes incoming signals instantly, and utterly peaceful moments of calm. The best technology is complex to the point of simplicity. That's nFusion. Find out how the powerful circuit inside our Destiny 400 can bring the world of natural hearing back to you. With the Destiny 400, you can enjoy hearing again. Sounds are classified and processed automatically by a state-of-the-art integrated circuit using a complex series of algorithms. This is a sophisticated entry-level hearing instrument that features the very best feedback erasure and directional capabilities currently available. Fitting is fast and comfortable, switching is automatic, and focus is amazingly easy to achieve. Finally, a comfortable, easy-to-use device that delivers the listening experience you desire. Active Feedback Intercept (AFI) - the most effective feedback erasure system ever developed. AFI uses an entirely new patent-pending method that actually moves nuisance signals in time, so not only does the feedback virtually disappear, there are no irritating sound artifacts left behind. Environmental Adaptation - a state-of-the-art system - with noise suppression that automatically manages and classifies different sound environments so you can move seamlessly from one listening experience to another. 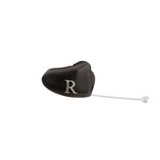 Directional Speech Detector (DSD) - standard on behind-the-ear styles and optional on all others - with the quietest directional mode in hearing aid history. DSD continuously monitors the decibel levels in noisy environments and adjusts its reception area. Autocoil - offering instantaneous selection of telephone listening mode, without the need for manual switching. Starkey's nFusion Technology represents a groundbreaking advance in better hearing. The first instrument ever to use nanoscience in its design, the Destiny 800 offers features never before available: complete feedback erasure, automatic switching that recognizes incoming signals instantly, and a component specifically designed to make telephone communication clear and static-free. With the Destiny 800, you will enjoy hearing again. Sounds are classified and processed automatically by a state-of-the-art integrated circuit using a complex series of algorithms. This sophisticated hearing instrument that features the very best feedback erasure and directional capabilities currently available, as well as Automatic Telephone Response - a breakthrough switching capability that will make all your conversations clear. 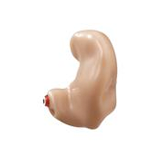 And Fitting of the Destiny 800 is fast and comfortable, so you can achieve better hearing immediately. Automatic Telephone Response - a first-of-its-kind nanotech switch that senses an analog telephone signal the moment the receiver is lifted to the ear. Starkey's nFusion Technology represents a groundbreaking advance in better hearing. The first instrument ever to use nanoscience in its design, the Destiny 1200 offers features never before available: complete feedback erasure, a revolutionary system that recognizes and classifies incoming sounds instantly, directional microphones to make quiet moments pure, and a component specifically designed to make telephone communication clear and static-free. The best technology is complex to the point of simplicity. That's nFusion. Find out how the powerful circuit inside our Destiny 1200 can bring the world of natural, effortless hearing back to you. With the Destiny 1200, you will hear even the most subtle sounds. The state-of-the-art integrated circuit ensures every Destiny provides the very best feedback erasure and directional capabilities currently available. Destiny 1200 has been enhanced even further with Acoustic Signature - a landmark management system that detects and classifies different sound environments, and transitions seamlessly between them. A device that delivers the listening experience you deserve. Finally, the wait is over. Acoustic Signature - a sophisticated, technology-driven system that detects and classifies listening environments and switches seamlessly between them, providing a totally natural hearing experience and clearer, better sound quality than ever before. Simply put, the DaVinci Precision Extreme Power ( PxP ) is the most powerful digital, directional, behind-the-ear ( BTE ) instrument available. Not just more power, but clean, clear digital amplification, which many experienced wearers perceive as a significant improvement over their previous analog or even digital aids. The precision part of DaVinci PxP's digital sophistication comes from Starkey's proven Precision Audio Imaging ( PAI ) operating system. It features noise management, feedback cancellation and powerful programmable telephone coil technology. DaVinci PxP offers better clarity and compatibility in a wider range of listening environments and on the telephone. To enhance understanding in the most difficult, noisy situations, PxP utilizes Starkey's exclusive Precision Directional Imaging ( PDI ). This innovative audio reception system helps emphasize sounds and conversations in front of you, while minimizing less important sounds to the side and behind you. DaVinci Precision Super Power's ( PsP ) new design provides the flexibility to be fit as either a conventional super-power behind-the-ear ( BTE ) or as an open-ear instrument. For people requiring more power with the latest digital features, DaVinci PsP's is fit with a regular earhook and a custom earmold. For people transitioning to amplification, PsP Open's soft earbud and tiny tubing prevent the "plugged-up" feeling that many first-time hearing aid wearers often experience. DaVinci PsP Standard and Open both provide clear, digital amplification from Starkey's proven Precision Audio Imaging ( PAI ) operating system. PAI features noise management, feedback cancellation and three programmable memories. To enhance understanding in all situations, DaVinci PsP Standard utilizes Starkey's exclusive Precision Directional Imaging ( PDI ). This innovative audio reception system automatically recognizes sounds and conversations in front of you, while minimizing less important sounds to the side and behind you. Axent, Starkey's premier solution, incorporates third-generation Precision Audio Imaging ( PAI ) technology. 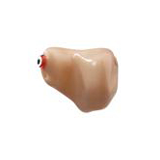 Directionality for custom instruments and a host of automatic features provide exceptional performance for patients with the most demanding hearing needs. Axent's four channels with eight independent bands allows for uncompromised fitting flexibility to match the widest variety of hearing loss configurations. Dynamic Precision Directional Imaging ( PDI ) technology offers superior understanding in all types of difficult hearing environments. Available with BTE , ITE and ITC styles, PDI automatically narrows the instrument's sound reception area and reduces interference of sounds and conversations from the sides and rear. Axent's PAI system continually monitors noise and feedback. Automatic noise management provides comfortable hearing in all listening situations without annoying background noise. Feedback cancellation also automatically identifies feedback and instantly eliminates it with no reduction in volume or clarity. Starkey's Mesa instruments offer you an incredible value without reducing fitting flexibility. Mesa's Precision Frequency Resolution ( PFR ), directionality, noise management and feedback cancellation features are ideal for people who require more advanced digital capabilities. Mesa's PFR frequency shaping allows the hearing professional to precisely program the instruments for more difficult hearing loss configurations. Dynamic Precision Directional Imaging ( PDI ) technology offers good understanding in a variety of environments. Available with BTE , ITE and ITC styles, PDI automatically narrows the instrument's sound reception area and reduces interference of sounds and conversations from the sides and rear. Mesa Precision Audio Imaging ( PAI ) system continually monitors noise and feedback. Automatic noise management provides comfortable hearing in all listening situations without annoying background noise. Feedback cancellation also automatically identifies feedback and instantly eliminates it with no reduction in volume or clarity. Available in all styles from BTE to CIC , Mesa offers an ideal solution for the most demanding hearing needs and environments. The recently released Cierra PDI now offers automatic Precision Directional Imaging in a true entry-level instrument. Cierra PDI is well-suited for the many fitting challenges of all types of patients, especially those transitioning from analog to digital instruments. Cierra's PFR frequency shaping allows us to precisely program the instruments for a variety of hearing loss configurations. Dynamic PDI technology offers good understanding in noisy environments. Available with BTE , ITE and ITC styles, PDI automatically narrows the instrument's sound reception area and reduces interference of sounds and conversations from the sides and rear. Cierra's Precision Audio Imaging-based system also includes wide-band expansion technology. Wide-band expansion increases audibility by suppressing annoying background sounds like computer fans and refrigerator motors. Available in all styles from BTE to CIC , Cierra is an effective solution for those with the most basic amplification requirements. Aspect Xtra combines two of amplified hearing's best ideas into one different, integrated system. Together, Aspect Xtra's open fit and digital technology offer an ideal blend of amplified and natural sound. Aspect Xtra's soft, flexible earbud fits inside the ear canal. Its unique fin design provides a secure fit, yet keeps most of the sound passageway unobstructed. This "open" fitting lets many sounds pass through naturally, without being amplified. In fact, a fully inserted earbud maintains as much as 70 percent of the canal's open volume and prevents the "plugged-up" feeling that first-time hearing aid wearers often experience. As sounds reach the ear, Aspect Xtra's Precision Audio Imaging-based circuitry recognizes the exact frequencies needed to enhance your understanding. Its digital processor amplifies these signals, while automatically filtering out the unnecessary background sounds and eliminating the possibility of feedback. Aspect's placement between the head and the top of the ear maximizes its sound reception capabilities and takes advantage of the outer ear's largest hiding space. 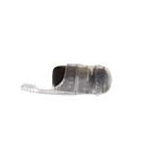 Unlike miniature BTEs , the tiny On-The-Ear ( OTE ) case, micro-thin tube and discreet earbud give Aspect Xtra an invisible appearance - comparable to today's smallest premium hearing aids. Hear better with confidence, knowing others will never see you're wearing Aspect. Starkey Laboratories got its start in 1967 when William Austin founded Professional Hearing Aid Service, an all-make hearing instrument repair service in St. Louis Park, Minnesota. After setting new standards for the way repairs were handled, Austin acquired Starkey Laboratories, a small earmold company, in 1971. With a mission to provide better hearing rather than just hearing aids, Austin merged the two businesses under the Starkey name, and eventually began making custom in-the-ear hearing aids with a then-revolutionary no-obligation trial and "worry-free" warranty. Today, that trial period is not only common practice among manufacturers, it's a legal requirement in many US states. 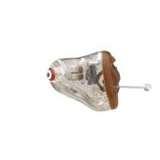 And Starkey Laboratories is the world's leading manufacturer of custom hearing instruments with 38 facilities in 23 countries throughout North America, Central America, Europe, Asia and Australia, and a workforce of over 4,000.